Gardenia problems usually rear their ugly heads during the spring. Luckily, there are remedies for all sorts of problems, from wilted leaves to lack of blooms, that can make your plant healthy again. 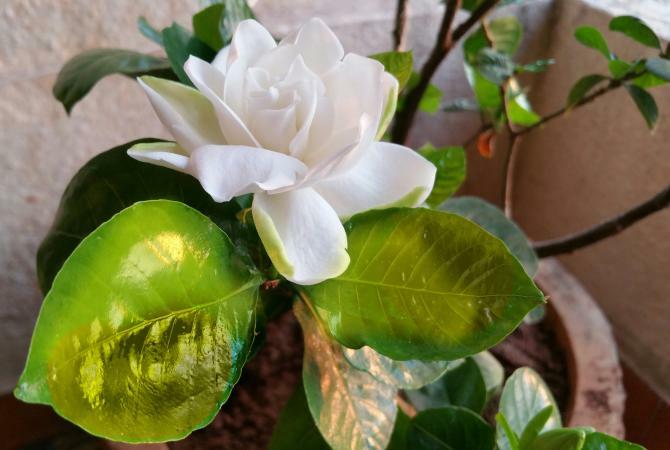 One of the most common problems with gardenias is yellowing leaves. This can happen whether your plants are outdoors year round or if you keep them indoors. Poor drainage: Be sure you are keeping the plants moist, but not wet. Place indoor plant pots on rocks in their dishes to ensure they never sit in water. Outdoor plants should be in well-drained soil. The soil composition should include a mixture of sand and vermiculite, especially if you have clay soil. Soil lacking important nutrients: Add a soil acidifier, such as MirAcid, iron or magnesium supplements to the soil. Read all package directions carefully before application. Gardenias love a moist environment. However, they don't like being drenched or having water on their leaves. Poor drainage: Gardenias love to be moist, but not soaking wet. Be sure the plant is allowed to drain thoroughly between waterings. Not enough humidity for indoor plants: Try using a humidifier in the room where you keep your gardenias. Not enough sunlight: Gardenias need at least eight hours of full sunlight each day. Pests: Check your plants for pests underneath the leaves, in the soil, and on the stems. The type of pest will determine which pesticide you will use. 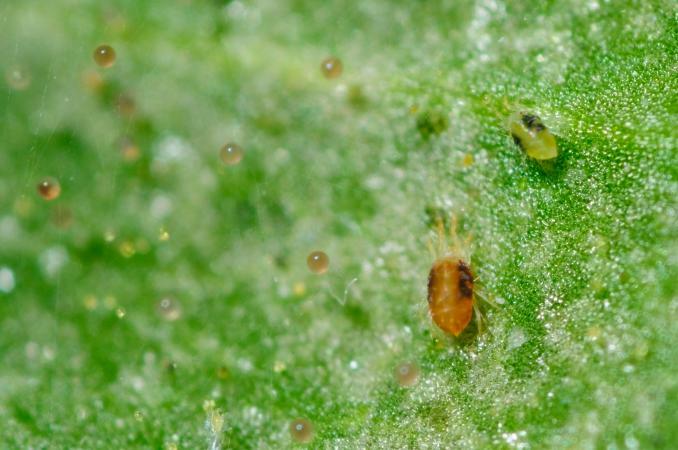 Spider mites commonly cause brown spots, and they can be treated with Neem. Improper pH: Check your soil pH, which should be 5.0 to 5.5. Add MirAcid if necessary. A gardenia that doesn't bloom is a real disappointment. If your plant doesn't have any blooms in the spring, it is usually due to pruning your plant too late in the season. Prune the plant after the blooms fall off if you have a variety that blooms once a season. If you wait too long, the blooms will set for the next year. Some gardenia varieties actually bloom twice during the growing season. Be sure to check which variety you have before you prune. One of the most frustrating problems a gardenia lover can encounter is having a plant with plenty of buds, but they are hard, won't open, and may even turn yellow. Check the soil pH and add MirAcid if necessary. Follow the package directions carefully. Temperature is very important for blooming. If it is too cold outdoors, your plants may not bloom properly. Indoor plants need a room with constant humidity and warm temperatures. Drainage is also important. A wet plant is an unhappy plant, so be sure your plant is moist but not soaking wet. Bloom drop is very disappointing for gardenia owners. This is usually caused by transplanting the plant while it's in bloom. The best way to avoid this problem is to wait until the plant completes its blooming cycle, and then transplant it to a new pot or place it in the ground. Pests are a constant issue, even if you keep your gardenia indoors. The plant can become infested by other plants that are introduced into the environment, from infected stock at a nursery or from insects that circulate freely outdoors. Spider mites: Put a piece of white paper under several leaves and shake the leaves gently. Fold the piece of paper in half and make sure you firmly flatten the crease. Open the paper up; if you see small red smudges, you have mites. Treat your plant with Neem. Aphids: Spray the plant with a soap spray. Scale: The small, black-headed females do not have wings; the males have wings. Treated the plant with horticultural oil. Root nematodes: Above ground, the plant will have wilted and yellowing leaves, despite receiving the correct moisture and watering. There are no pesticides for nematodes. Carefully select young plants and only purchase the most healthy looking plants and varieties. Mealy bugs: These are tiny, wingless, grayish-colored insects. Look for white, cottony masses on your plant. Mealy bugs can be treated with a soap spray, horticultural oil, or by using a steady stream of water to remove the masses. Whiteflies: Look for small white bugs grouped on the underside of the leaves. They will cause the leaves to turn yellow. Neem will help reduce the population, but it will not completely eliminate the whiteflies. The best way to manage white flies is to remove the infected leaves and remove host plants that attract these pests in your home or garden. Gardenias provide fragrant blooms and lush green foliage that can enhance nearly garden. Keep your plants healthy by providing the correct amount of moisture, plenty of sunlight and the right soil pH. Prune your plants only as needed, and be sure to check your plants for pests on a regular basis. Gardenia plants can live for many years if they receive the right care.